The recruiting of a big new factory promising lots of jobs still grabs headlines, but many communities increasingly see the value of nurturing local entrepreneurs. Studies suggest that the majority of new jobs come from the expansion of local small businesses. The Hampton Roads Community Foundation has made improving the business climate for entrepreneurs one of the key elements of its Reinvent Hampton Roads project. Encouragement of entrepreneurs is seen as a strategy for improving the region’s ability to attract more higher-paying jobs. Helping entrepreneurs get their companies off the ground are a wide variety of resources, including business incubators and small business development centers throughout the state. 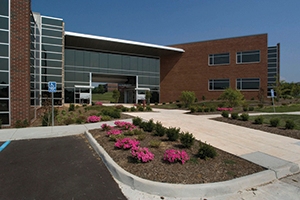 The incubators range from the Jacksonville Center for the Arts in Floyd, which offers office and studio space and consultation, to the 1.1-million-square-foot Virginia BioTechnology Research Park in Richmond. One of the more innovative and successful business incubators, or accelerators, has been VT KnowledgeWorks based at the Virginia Tech Corporate Research Center in Blacksburg. In addition to providing space and advice to entrepreneurs, VT KnowledgeWorks sponsors a number of local and international competitions. For example, its annual Tech Transfer Challenge Prize offers $100,000 worth of mentorship and business support services to a winning team of Virginia Tech faculty, staff, students or alumni proposing to start a business in Blacksburg based on Tech-owned technology. VT KnowledgeWorks also holds the Global Entrepreneurship Challenge. It’s a program that encourages students in developing entrepreneurial ideas, enhancing understanding of the requirements for a successful business venture and showcasing creativity. The Virginia network of small business development centers offers offices located in every region of the state. The centers offer customized counseling and education for small businesses owners.